Many friends and fellow artists have always suggested I reproduce my watercolour & blotted line paintings on ceramics. 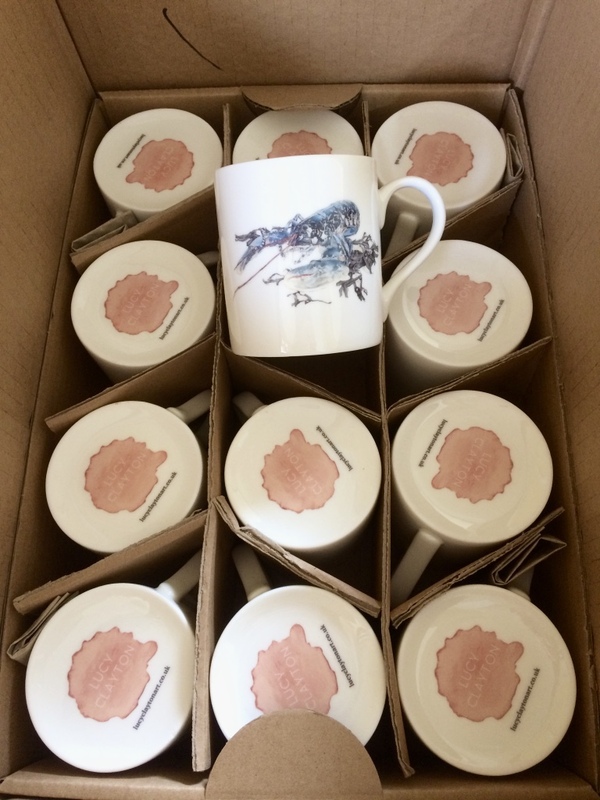 So here I am dipping my toe into bone china mugs. It was a daunting process researching all the different companies and processes. In the end I went with a ceramic printers & decorators of bespoke bone china based in Stoke on Trent. Choosing which paintings to reproduce was interesting as I am so used to seeing them flat and on paper. 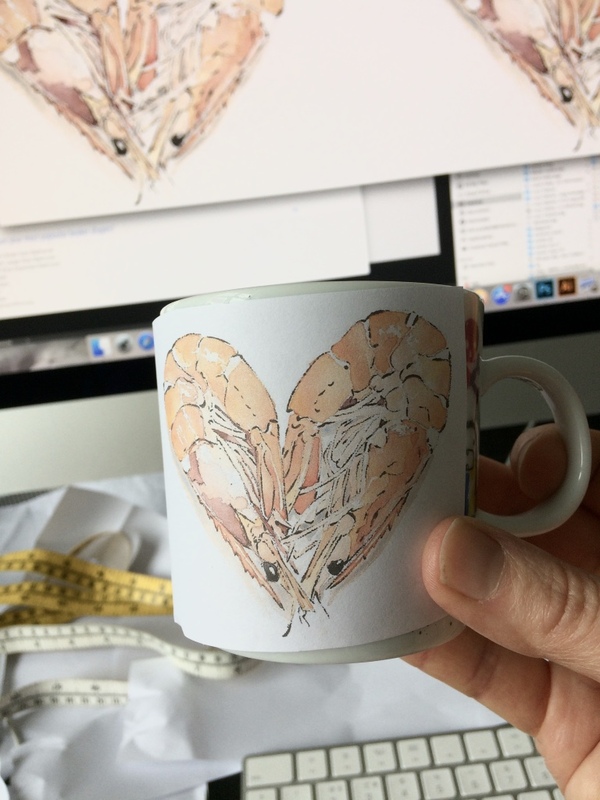 Eventually I went with Prawn Heart and Native Lobster as I thought they would fit the shape of the mug and are quite distinctive sea creatures. If the mugs prove popular I will look into producing some more, possibly with the paintings of Crab or Prawn. It was important to me to use bone china as I feel it compliments the delicacy and translucent qualities of watercolour but most of all, it’s lovely to drink tea from. The image is digitally printed onto a transfer. This is hand applied to the surface of the mug before firing. The printers recommend that although the mugs can go through a dishwasher, over time they will fade. To stop that from happening simply wash by hand. The mugs will be available to purchase in person this May, at Artists Open Houses in Brighton. I will be joining the artists and makers at For the Man I Love open house in Maldon Rd BN1 5BD. In June they can be found with me at South East Open Studios at East Cliff Rd, Tunbridge Wells Kent. They can also be purchased online here.